But the rumor that Japan is very expensive, has led to us postponing our visit to Japan up until now. During our one year of travel through Asia, we decided that Japan had to be on the list this time! I have never heard anyone say a bad word about Japan or their experiences in the country, except for the costs. Ok, I will be honest with you, Japan is not cheap, not compared to other Asian countries. But it is not the prohibitively expensive country people may think it is. 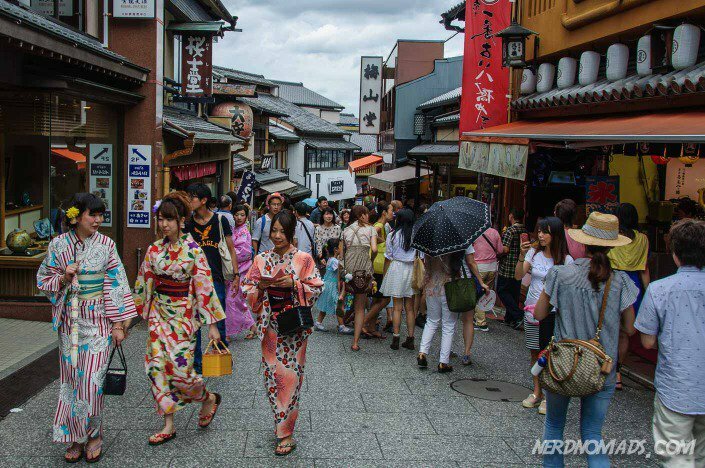 We found Japan to be comparable to countries in Western Europe, and in some cases cheaper. Tokyo is cheaper than both London and New York, and not to mention Oslo!! 🙂 So let us break it down and see how much does it cost to visit Japan. Let’s start with food, since obviously we all need food wherever we go. 🙂 Here is the good news: To our surprise, the food was actually quite inexpensive! Fair enough, you can find super fancy and expensive restaurants in Japan too (especially in Tokyo), but it is easy to find cheap food. Eating cheaply was actually the thing that helped keep our total cost per day down. Japan does not have a street food culture like Thailand and China, but there is always a delicious and cheap noodle restaurant nearby. There is no tipping in Japan, as it is considered rude, so that will save you some bucks. You will also find good and cheap food options in convenient stores (even 7-Eleven and Family Mart), which are both healthy and tasty compared to other countries convenient stores. We were really surprised by the great selection of pre-cooked dishes in the convenient stores. For instance will a bento box (lunch box) with rice, fish, meat, and vegetables cost about 4 us$. Here you will also find a variety of options of rice balls with different meat or fish filling for 1 us$. A tray of sushi cost around 4 us$. If you want to step it up a bit and sit down while you eat, there are cheap fast food restaurants that serve a bowl of rice with some fried meat or fish and vegetables for about 5 us$. There are noodle bars basically on every street corner in Japan, where you will be able to get a big bowl of ramen, udon or soba for about 7 us$. These restaurants also serve tea (hot or cold) for free! If you are a sushi lover, then Sushi trains restaurants (where sushi goes around on a band and you just take the ones you`d like) are a great option. Expect to pay about 2 us$ per plate. Many restaurants have food that can easily be shared, like tempura, sushi and sashimi, where you can eat together with friends and probably pay around 17 us$ each. The all-you-can-eat buffet Baikin (or ´Vikings´ as many restaurants calls it on their menu, hehe) is however the ultimate dinner option, where you can stuff yourself for about 20 us$ (there are however very expensive ones too!). If you wonder why buffet is called Vikings in Japan, here is an excellent article that explains it. Most restaurants in Japan offer lunch deals, which are basically their dinner dishes but at reduced price. So one option can be to have lunch as your main big meal of the day, and eat a smaller meal (like noodles) for dinner in the evening. If you, however, want to eat western food some days, expect to pay more than for Japanese food. Also, if you are a fresh fruit and vegetable lover like me, then forget about eating much of that while in Japan if you want to save money. Fruits and vegetables are very expensive! The next thing everybody needs when traveling to a foreign country is accommodation. So unless you have a friend or family in Japan that you can stay with, this will be one of your major expenses. If you are on a backpacker budget and don`t mind sleeping in dorms, then you can find hostels for about 20 us$ a night for a dorm bed. A step up from dorms, and unique for Japan, are capsule hotels where you sleep in a private enclosed box instead of dorms. You will share the bathroom and common areas with the other guests. Each capsule has a reading light, outlets and sometimes a small TV. Expect to pay around 35 us$ for a capsule per night. These hotels are however only in the big cities in Japan. Traditionally capsule hotels are only for men, but lately hip new capsule hotels have opened and are catered towards travelers, and also include women. If you are really on a low-budget then a Manga Kissa can be an option, if you don`t find anything else (last way out I would say…). These are 24-hour comic book internet cafes that contain private booths where it is possible to sleep. Manga kissas do have bathrooms with shower, but can be very loud so don`t expect to get much quality sleep. For about 20 us$ you can get overnight hours in a Manga Kissa. We spent a few hours at a manga kissa in Tokyo during day-time, but never tried to sleep there. We prefer our own room, so the option that suited us best were so-called “business hotels”. In Japan, it is very common that locals (especially businessmen) spend the night at a hotel rather than going home if they have been working late or been out with the guys from work. The big cities in Japan have therefore a lot of small business hotels with reasonable prices. Just don`t expect these rooms to be large, they are actually quite tiny, but clean, come with private bathroom and have all the amenities you need and could ever think of! You can get a business hotel room for about 70 us$ (for a twin or double room). These hotels usually don`t have a restaurant and don`t offer breakfast, so no food is included in that price. But all rooms have water boiler and some even have a microwave, which can be used to make simple dishes like noodles. You can just pop by these hotels without reservation, or make a reservation online through the typical search sites. There are several inexpensive business hotel chains in Japan. We stayed at hotel MyStays Asakusabashi in Tokyo, a good business hotel chain, and it was great!! Highly recommend it! If you want more tips on accommodation options at any budget in Tokyo, read our complete guide to where to stay in Tokyo. 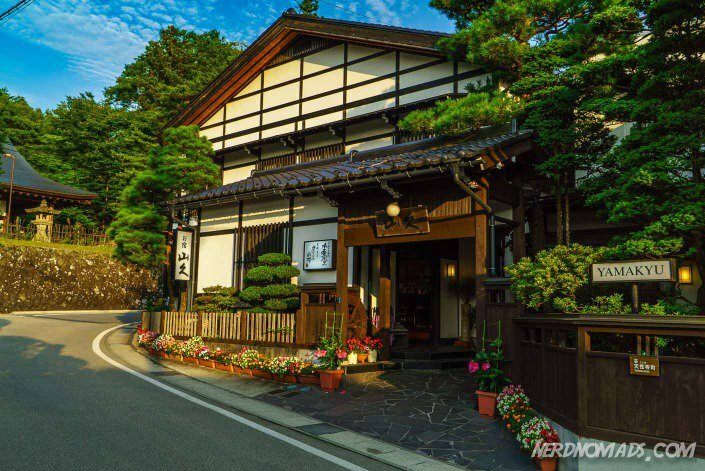 To sleep in a traditional Japanese inn – a Ryokan for a night or two is an absolute must when visiting Japan! 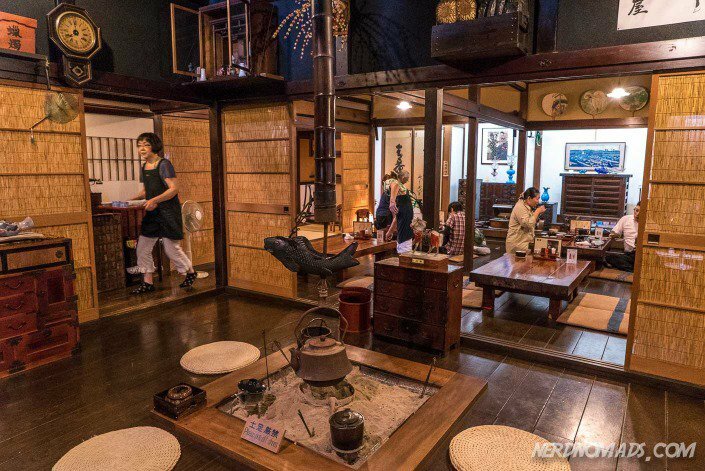 Ryokans are however quite expensive, and cost between 140 us$ and 230 us$ per night per person. 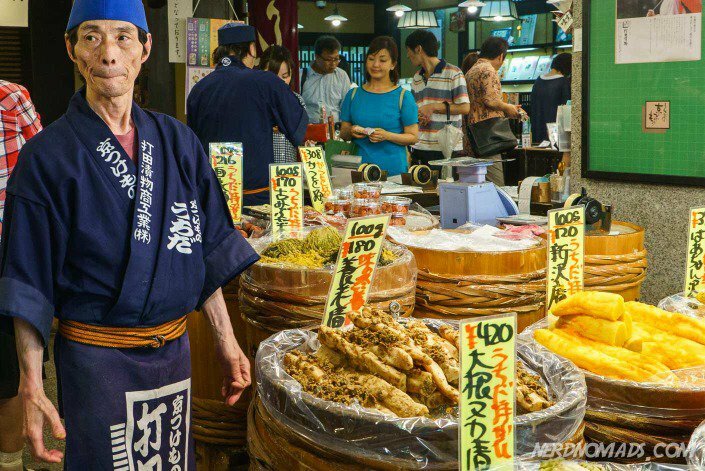 This price includes a lovely traditional Japanese dinner in the evening and breakfast the next day, and free onsen (hot spring) if they have an Onsen. We stayed at Yamakyu Ryokan in Takayama for one night and paid 150 us$ per night for two persons (75 us$ per person). This was the cheapest Ryokan we could find in Japan and included a delicious traditional Japanese dinner, breakfast, and onsen. It was very nice and we loved it! Highly recommend it if you want to try a Ryokan but don`t want to go broke. Of course, there are also plenty of international hotel chains in Japan, but these are quite expensive, between 100 us$ and 200 us$ per night per room. Then there is transportation, which, of course, you have to use if you want to see more than just the city you fly into. Transport is expensive in Japan in general. But there are some tricks to use so that you don`t necessarily have to rob a bank. 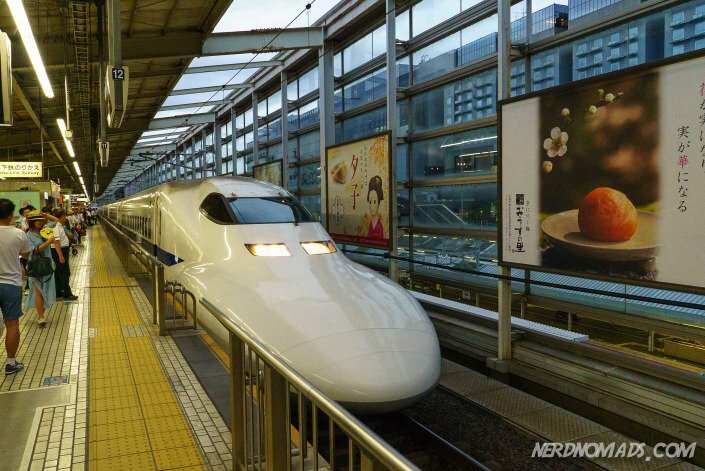 The railway system in Japan is the best in the world! There are trains everywhere, they are always on time, they go fast and are very clean and easy to use. I would say trains are the number one transportation you will and should use while traveling in Japan. In order to save some money, my best tip is to buy a Japan Rail Pass (JR). A Japan Rail pass is a prepaid ticket that gives you almost unlimited use of Japans extensive train system. The pass is available for periods of 7, 14, or 21 days. The cost of a Japan Rail pass is 425 us$ for 14 days Ordinary JR pass (The green is first class and cost 600 us$). This sounds pretty expensive, but it is “only” 30 us$ a day and you can ride unlimited. Here is why a prepaid Japan Rail Pass will save you money: A train ticket between for instance Tokyo and Kyoto cost about 120 us$ one way, and the ticket between Kyoto and Hiroshima cost about 100 us$ one way. So going by train Tokyo-Kyoto-Hiroshima-Tokyo will in total be 120+120+100+100 = 440 us$, which makes the JR pass worthwhile, and that is only three cities. So if you do plan to travel around in Japan, a JR pass is a must! This pass is however only available for foreign tourists. We bought ours in Bangkok, at a travel agency in one of the big shopping malls. The easiest and least expensive way to buy a JR Pass is to order it online from an official Japan Rail pass vendor like www.jrailpass.com before you leave home. They will send you a voucher that you exchange for the pass at a ticket office in Japan. You have to do this within three months of purchasing the voucher. Depending on when you’re going to Japan, you might be able to purchase the “Seishun ju-hachi kippu” pass which allows for rail travel at about half the cost of the Japan Rail Pass. It is a seasonally available railway ticket, which gives you five days of unlimited, nationwide travel on local and rapid JR (Japan Railways) trains for only 108 us$ for five days, or 22 us$ per day. The five days do not need to be consecutive days. It is however only available three times a year during school holiday seasons. The pass can be used by people of any age and is available to foreign tourists as well as Japanese nationals and foreign residents of Japan. However, there is no child fare. The Seishun ju-hachi Kippu can be bought at most JR stations across Japan. It is a non-personal, transferable ticket, meaning that it can be used either by one person on five days or be shared by up to five different people. However this pass is NOT valid for the fast Shinkansen trains, so your travels will be much slower, and require more planning to find connected routes. If you are only going to stay in Japan for a short period, and only be staying in one city (for instance Tokyo) and use that as a base to see the city and the surrounding area, then the JR Pass will not be necessary. A couple of subway rides in Tokyo is 2-3 us$, and the local train (takes a lot longer than the Shinkansen) is quite cheap. Slow local train cost on average about 5 us$ per hour ride. If you plan to stay in the Osaka area, the Kansai Thru Pass is a good value. This cost about 50 us$ for three days, and is excellent if you plan to go to Kyoto one day, Nara the next and Himeji the third day. This pass also includes buses. There are also several other “special price packages” like this in some cities. 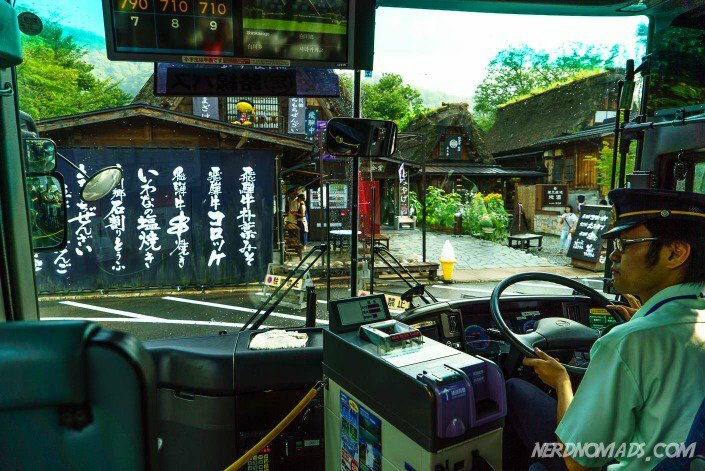 For instance, if you want to go on a day trip to Nikko from Tokyo, like we did, there are special tickets for the train Tokyo – Nikko and back, which also includes bus in the Nara area. The bus is also an option when traveling in Japan, especially to small rural places. There are day- as well as overnight buses between most places in Japan. We took a bus in the Takayama area, as there were no train options to the small remote villages we wanted to visit. Our impression was that the buses are not especially cheap either, and they take a lot more time. For instance, a bus ride between Tokyo and Osaka takes around 10 hours, while the train uses 2 hours. Better to go with the train if possible, much more comfortable and the perfect way to see a country in our opinion. There are also bus passes available. A 3-day bus pass cost 92 us$ while 5 days cost 138 us$. In the big cities like Tokyo and Kyoto, there is a very easy and accessible metro system. If you know you will travel around the city a lot, day passes can save you money. There are however several metro lines, operated by different companies, so that can get a bit confusing. You have to know what metro lines you want to take, and buy the right day pass to match those lines. Tokyo Metro 1-Day Open Ticket cost 7 us$ and covers only the Tokyo Metro subway lines. Common 1-Day Ticket cost 10 us$ and covers both the Tokyo Metro subway lines and Toei Subway lines. Tokyo Combination Ticket cost 15 us$ and covers every line in Tokyo (JR lines, all Tokyo Metro subway lines and Toei subway lines). Special Ticket for Visitors from Abroad – If you bring your passport you can purchase the Tokyo Metro 1-Day Open Ticket for 5 us$ (instead of 7 us$), or you can buy a 2-day Tokyo Metro ticket for 8 us$. We bought the 2-day Tokyo ticket a couple of times. The only hassle with these tourist tickets are that they are only sold at a few places: Narita International Airport, Haneda Airport or Bic Camera Store (at Yurakucho, Shinjuku Station East Exit, and Akasaka-mitsuke Station). So unless you happen to be near any of these places, it is not worth it. Taxis are very expensive in Japan!! Well maybe not compared to Scandinavia and some cities in Europe and the USA, but much more expensive than other Asian cities. Look at our Taxi driver with white gloves, hat, and uniform! We did take Taxi on some occasions when the train and metro had stopped for the night, or we had run out of time and had to jump in a taxi in order to get to a site before it closed. 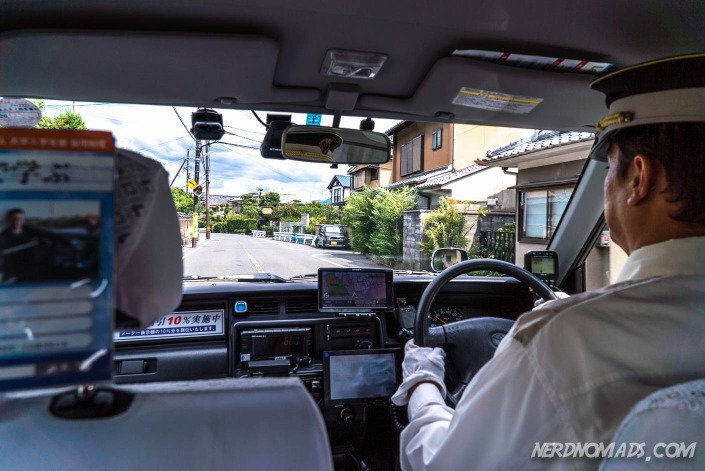 Taking a taxi in Japan is something everybody should try out. We have never experienced such politeness, cleanness, and professionalism as Japanese taxis. We felt like we were driving a limousine with a private driver! 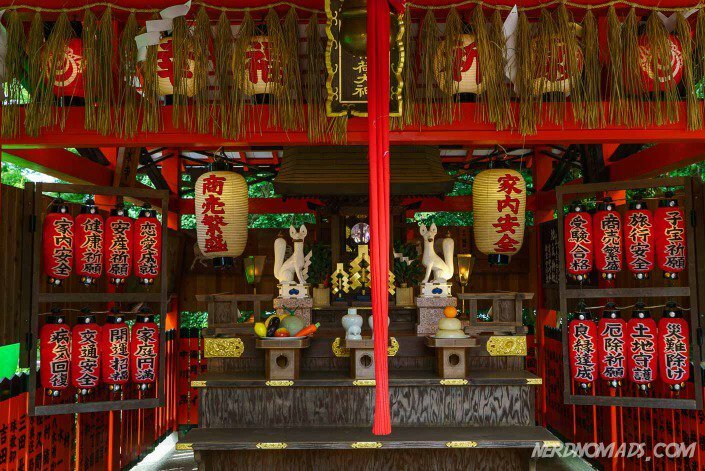 When you go to Japan, you most likely want to see temples, shrines, gardens and museums. Each of these has an entrance fee. And although each of them usually only cost around 500 – 1000 JPY = 5 – 10 us$, it all adds up to a pretty decent amount in the end. There are however some parks, temples and shrines that are free. 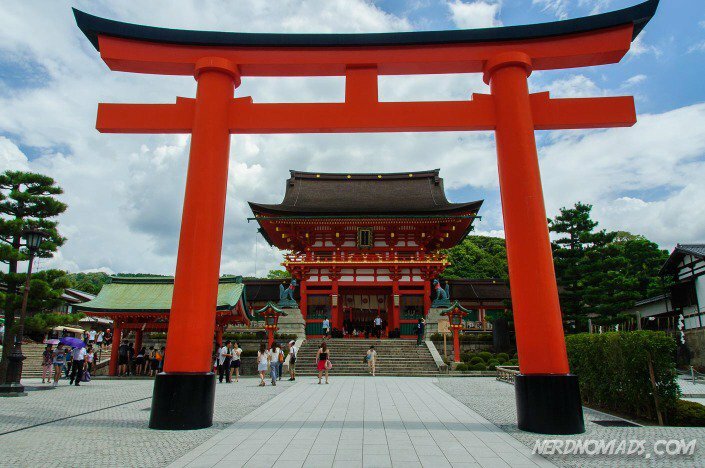 Usually only parts of the park, temple or shrine are free while some parts you have to pay to enter. 3rd of November is Culture Day (bunka no hi) and a national holiday in Japan, celebrated all over Japan with free exhibitions and parades. This day there is free entrance to most museums in Japan. So if you are in Japan on this day, take advantage of it and visit as many museums, exhibitions, concerts and artisan workshops as you can for free! Although there are a lot of ATMs around in Japan, most of them don’t accept foreign-issued cards, only Japanese credit cards. The best place to find ATMs that do accept international VISA cards is 7-Eleven which is in all big cities in Japan. If you are heading out to remote areas of Japan, make sure to withdraw cash in one of the big cities before you go. So is Japan expensive to visit? Yes, Japan is expensive compared to some other Asian countries. But not compared to Western European countries, USA, Australia and certainly not compared to Scandinavia! As with all travel you have to expect to spend money, but you will not need to spend more money in Japan than on a vacation to say Norway, New York, the UK or Australia. Japan has such a rich culture and is an amazing country to visit, so you should not miss it just because you think it is too expensive. If you make an effort, carefully plan when you go (avoid high season when the Cherry trees blossom in April/ May and autumn between September/October), do your bookings in advance and you can travel Japan fairly cheaply.